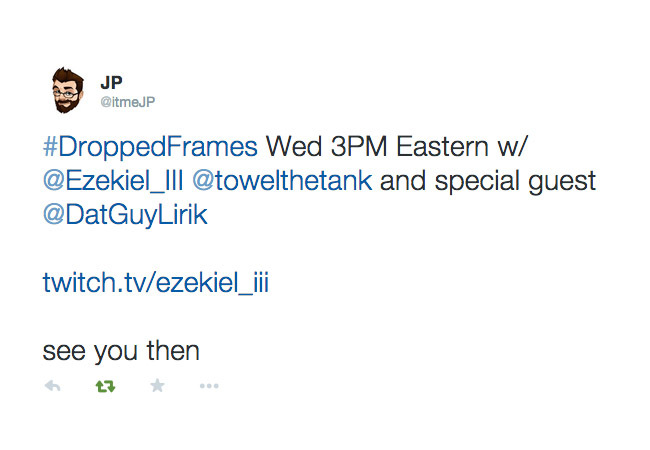 Tomorrow at 3PM ET, week 18 of Dropped Frames will have Lirik on as their special guest. Late last night JP tweeted out Zeke and Towelliee will be the co-hosts along with JP, seems like Towelliee will be temporary replacing Cohh this week. 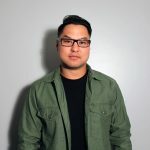 Lirik seems to be branching out, he’s never really done any interviews or been on any gaming talk shows. The million dollar question everyone has been asking is will he be using a face cam, or will LirikThump will be the image in the frame. Tune in tomorrow at 3PM ET to find out!